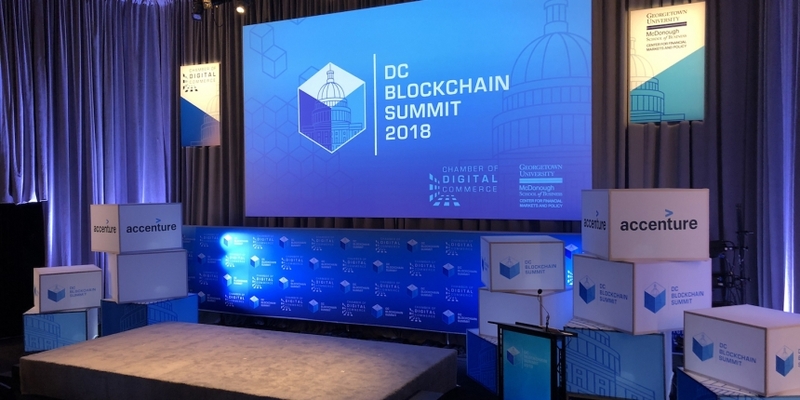 This was, perhaps, the message broadcast by representatives of the U.S. government to audience members at the first day of panels at the DC Blockchain Summit in Washington, DC on Wednesday – even as securities regulators warned exchanges who offer trading of ICO tokens. 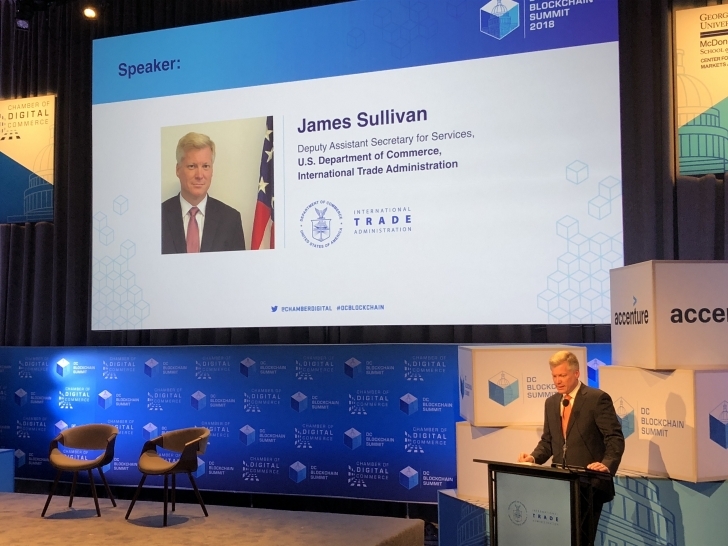 Indeed, it was James Sullivan, the deputy assistant secretary of services at the Commerce Department’s International Trade Administration who remarked during his address that “we cannot make policy in the abstract” and that, when it comes to the potential use of blockchain within the business community, public and private sector cooperation is key. “I would welcome all of you in the audience to reach out … and to hear your recommendations,” Sullivan concluded. Yet, attendees who spoke to CoinDesk proved to be more conflicted on the question of blockchain’s use in government – as well as the topic of cryptocurrency regulation, which was top-of-mind at the event as well. 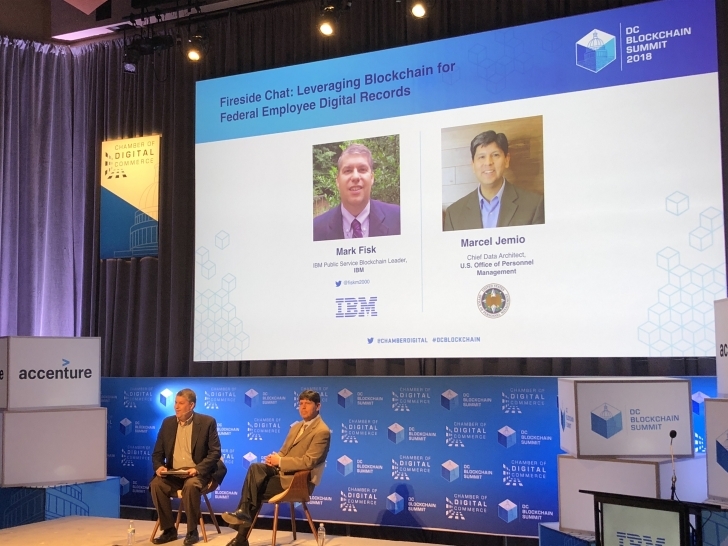 One employee of a major blockchain startup expressed skepticism that the U.S. government would seriously commit to using the tech, arguing that agencies might be better served looking at the benefits of tokenization. “I think blockchain in a lot of cases is going to be an enabler of solving the problem, but not necessarily with solving the problem only with blockchain,” Fisk stated. Earlier in the day on Wednesday, the U.S. Securities and Exchange Commission publicly warned about “potentially unlawful online platforms for trading digital assets,” arguing that exchanges which offer services for ICO-derived tokens may be required to register with the agency. The topic of regulation came up during an appearance by Bitmain co-founder Jihan Wu, who revealed that the bitcoin mining hardware giant wants to invest in startups seeking to create “private central banks” that use cryptocurrencies. In Wu’s view, most tokens on the market today will ultimately come to be viewed as securities under traditional definitions. Some conference attendees told CoinDesk that they would welcome regulation, particularly pertaining to ICOs, while others claimed that developing regulation at this moment would “lock” businesses into rigid models ill-suited for a fast-moving environment. The event also saw Brian Quintenz, a commissioner for the CFTC, strongly advocate for more self-regulation in the cryptocurrency space. 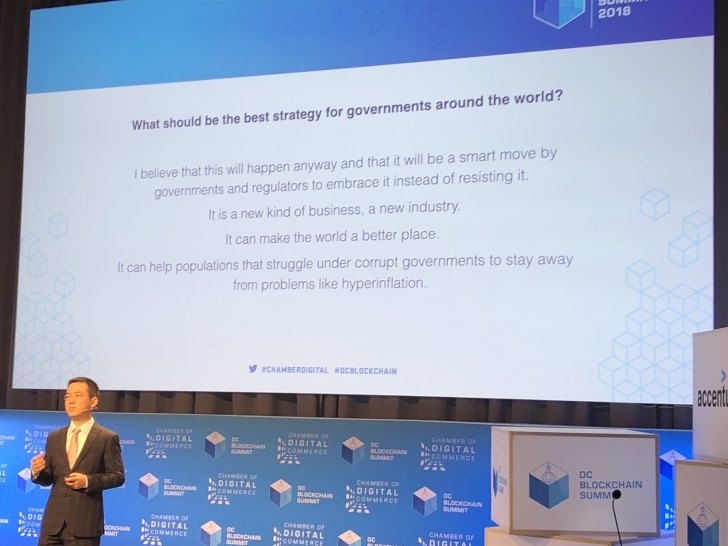 Quintenz told the audience that cryptocurrency platforms should “step up” and self-regulate while the government deliberates, a position he has also expressed in the past. “I believe that a private cryptocurrency oversight body could bridge the gap between the status quo and future government regulatory action,” he argued, adding that he believes such a group could have a global influence. Correction: This article has been amended to clarify remarks made by deputy assistant secretary Sullivan.